When I got my license more than 10 years ago I struggled to get a radio - not that easy with 25Eur pocket money a month :-). 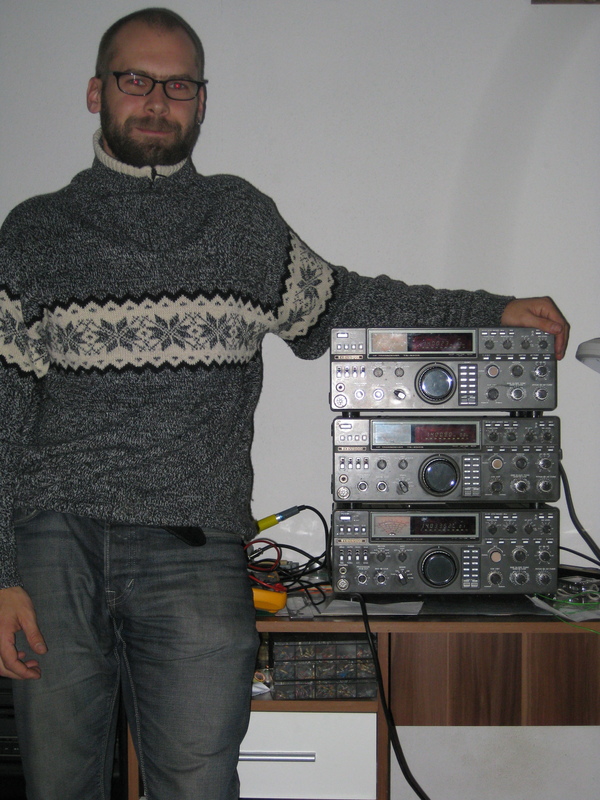 Now, time passed by and I had the possibility to play with lots of different gear, mondern and post modern. As a CW-guy I really fell in love with the TS-930 I got when I was 15 years old. Ever since, this transceiver gave me pleasure on the bands. Now, after years of operation, it died the electronic death. There is no display, I can not switch to transmit. If I change bands I can not hear a relay as I was used to. There is NO reaction of anything. But the reflection meter on the front is always at the end, on the far right side. 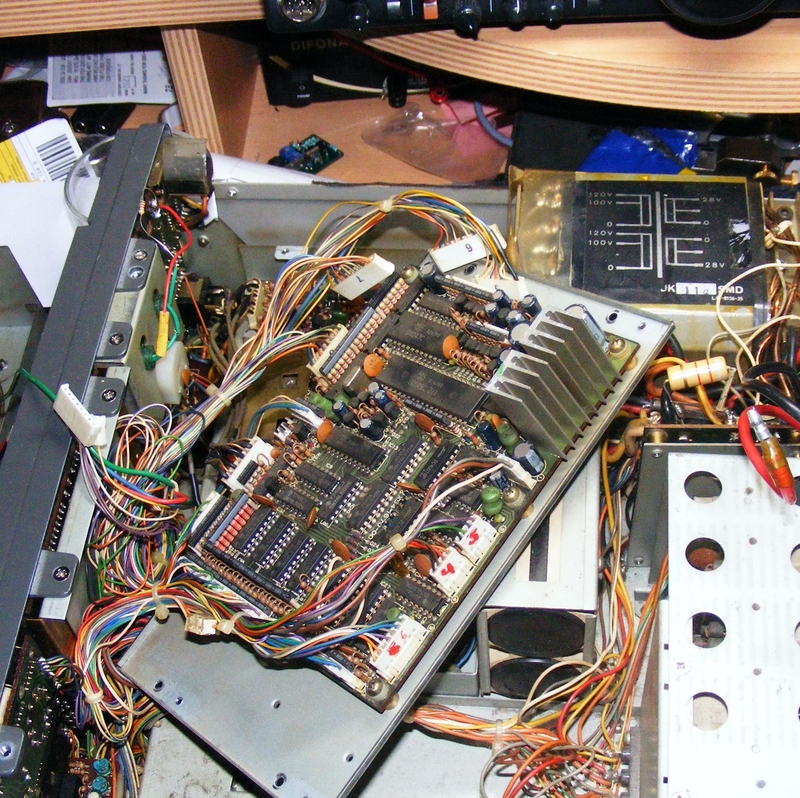 Anyway, I got the Power Supply Unit out and renewed everything what seemed to be burned. 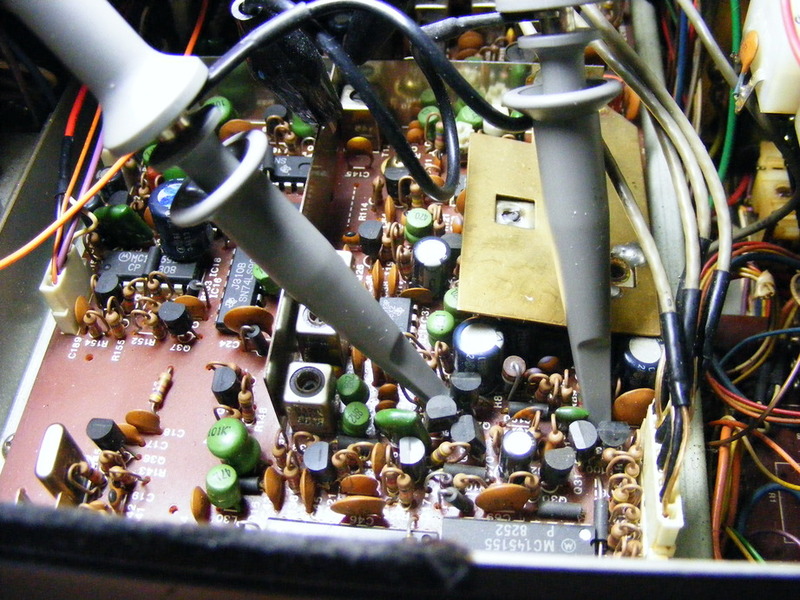 I replaced every electrolytic capacitor I found, I replaced all the Zener Diodes and some other diodes, I replaced Q6 with an BC639, I added an 47-Ohm-R in the collector branch of it and replaced the Q3 at the heat sink. The pre-owner replaced it with an BU806 and so did I. I replaced D1 and D2 by 1N5408 and replaced D8 with an series of 3 1N5408 to get something about 2V. 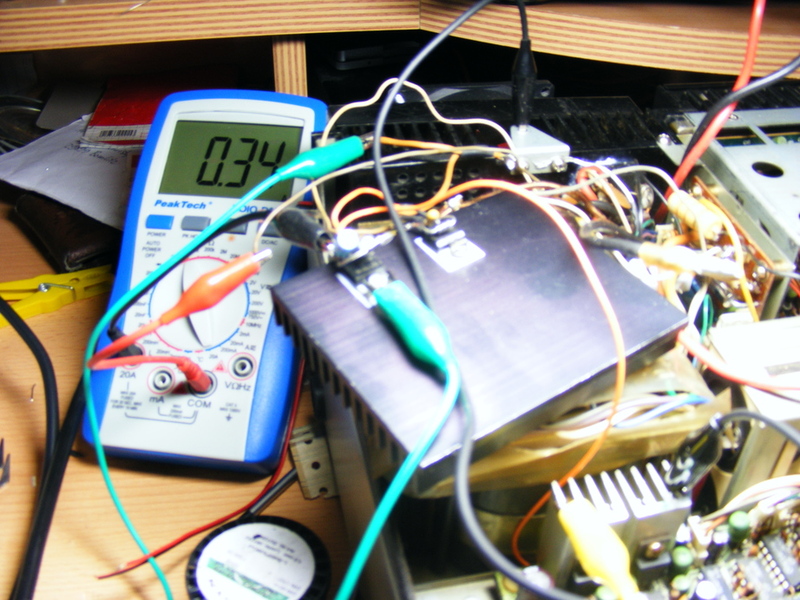 Now I measure 28.2V on the both right connectors and 22.7V on the very left (first) connector. No, this isn't a typo. It's really 22.7V. I don't know where this 1 Volt is coming from but at least it's not 0.5V anymore. Okay, I connected everything back. I switched on the Transceiver after connecting everything and - nothing happened!. So I got the digital unit out and resoldered every through hole connection. 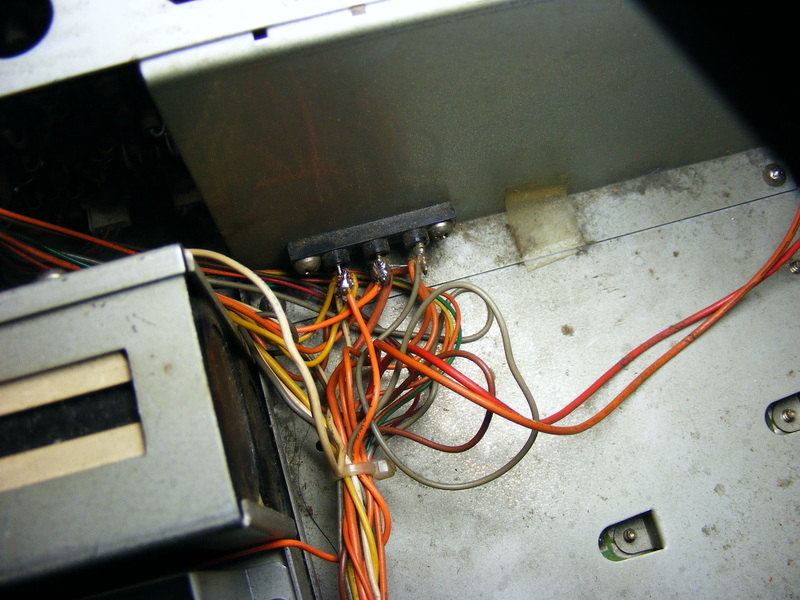 I inserted silverplated copper-wire. After putting the digital board back in place and connecting everything I switched it on - nothing. No Display, the Meter is still at 120% and I can hear a continious beep out of the speaker. What the hell is going on in there? I don't know why I get hose values. I also don't know why they are all about the same. I'm also not sure if the connection on Picture 4 between pin 2 and 3 (from the right) has to be... If it really has to be - why is it such a thin wire then? 6. Measuring the current of the 15V-branch. 7. Disconnecting all jacks but the power supply. 8. A short on the digital unit in the 5V-branch. 9. Bridges the bad through-hole-connections under an IC where I can not solder. 10. I hope that the broken thing is not somewhere here :-). I found the short in the 5V-branch! It's an unexpected failure: IC29, a 7475, was defect. 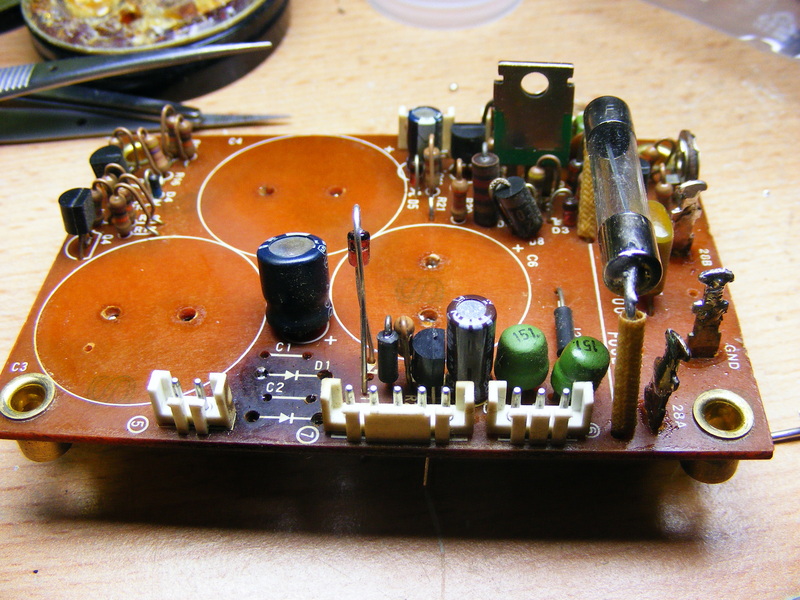 I don't know if an internal diode was the problem. I exchanged the latch and now everthing worked. 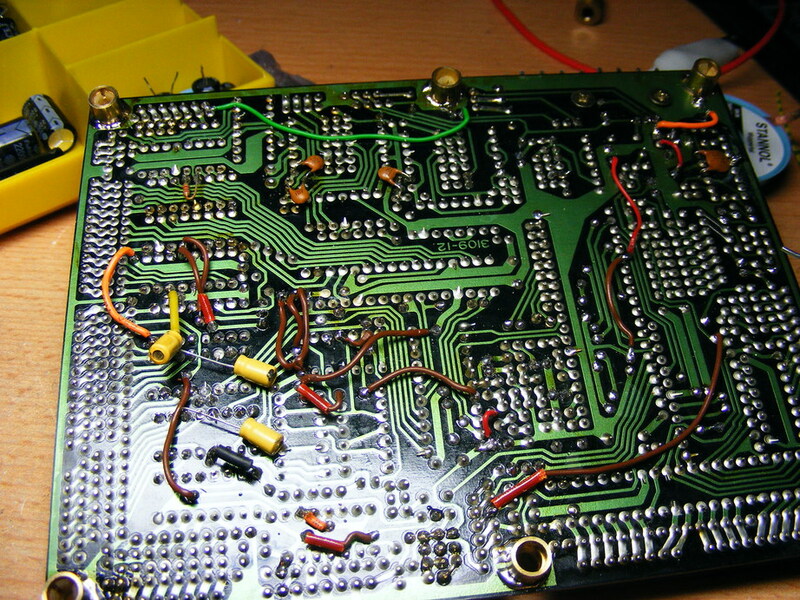 I read 400mA in the 8V-branch. I started to adjust the PLLs according the the service manual. Although I had no display the TX was working and I could figure out on what frequency I'm sending with an simple frequency counter. 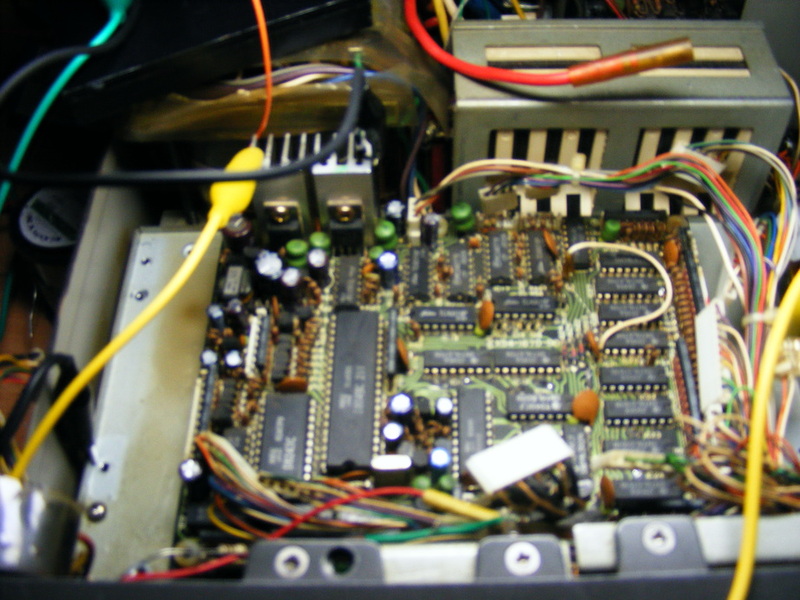 digital board, connector 1 pin 3 showed 0V. Why? There should be some 24V, generated by an potential divider on the heat sink. 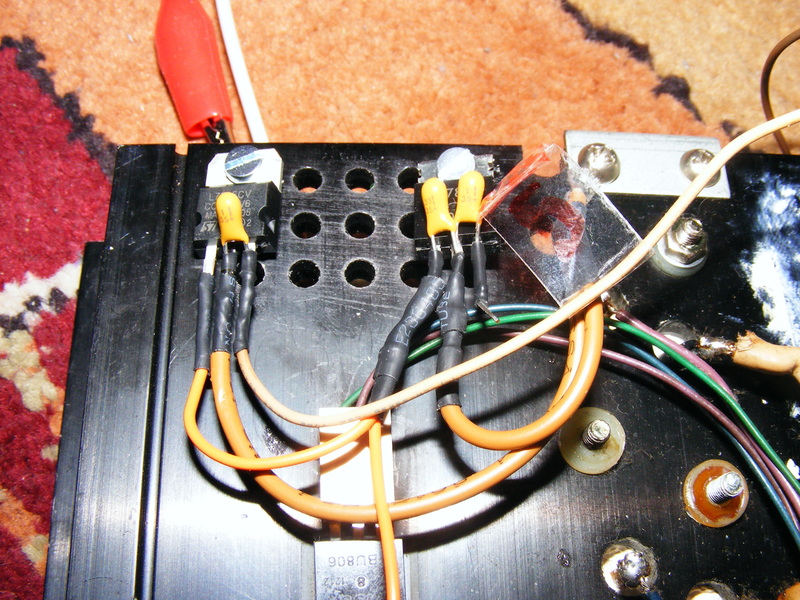 I checked this divider (a resistor) and saw the all the wires were unsoldered from the heat. And it also lost its color. So I replaced it (33Ohm, 2W) by 33Ohm 10W and measured the current. 1.3A - wow! 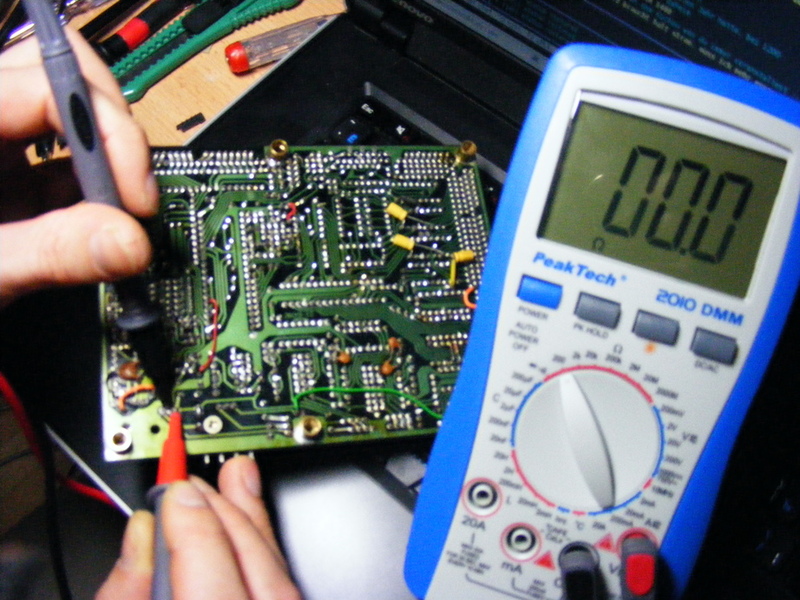 I checked everything around T1 on the digital board and detected a problematic part: Q15. 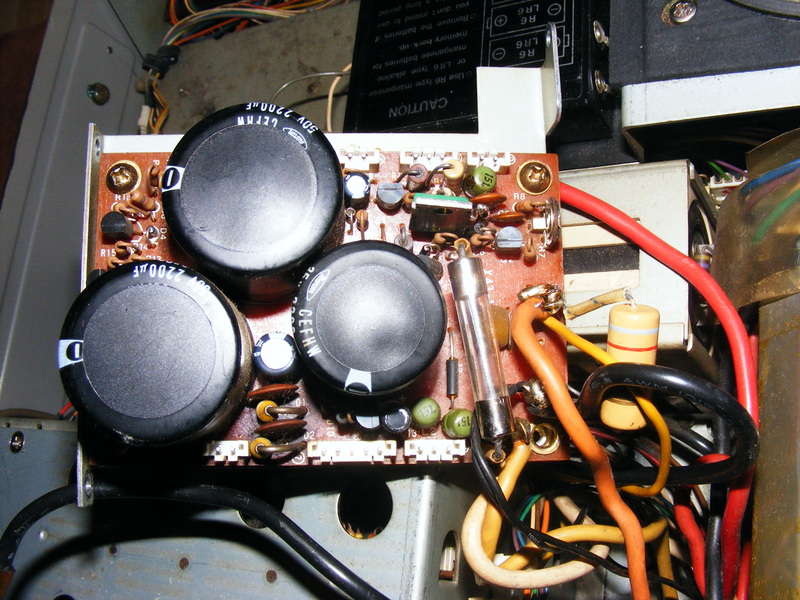 I replaced this 2SC2274 by an BC639 and I had display!. I also replaced Q15 to be on the safe side. 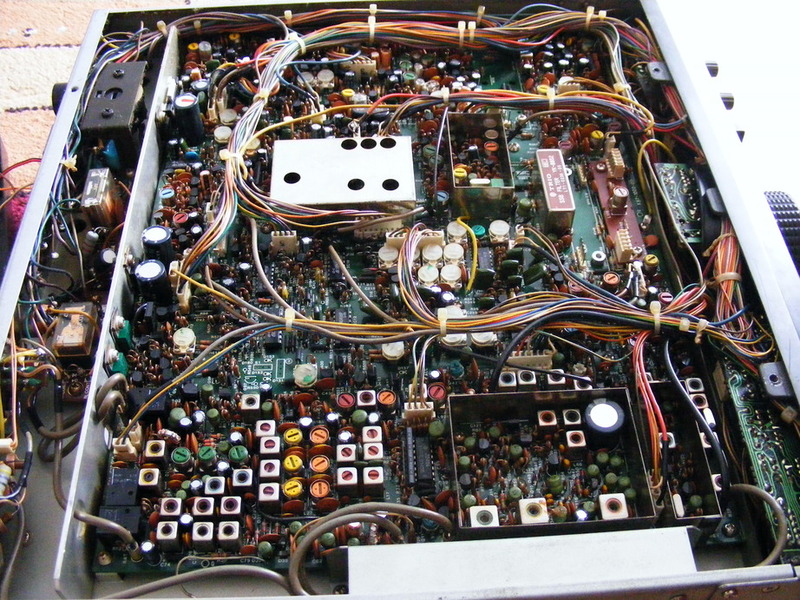 I checked the PLL-voltage again, re-adjusted a bit and switched out everything. It was 2 in the morning. Luckily I'm a student, so I can spend an hour or two more in the bed the next morning. 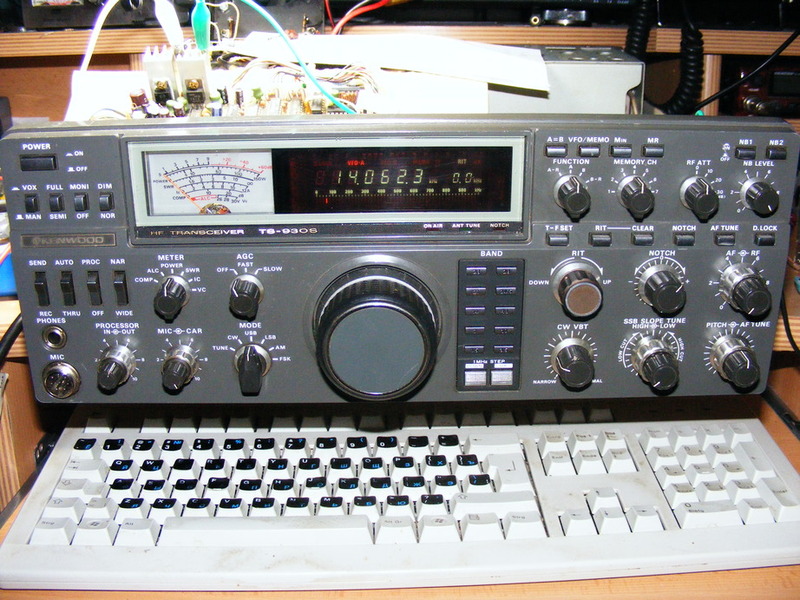 I want to refer to Thread in QRZ-Forum and to say tnx to KE3WD, G4COE and W9GB.